Bangladesh Labour Welfare Foundation (BLF) is a non-government, non-profit, non-partisan organisation that represents the interests of Bangladesh’s working class. BLF works for the welfare of workers, professionals, women, children, employees and families by undertaking various programmes and projects. CSID is a non-profit, voluntary organisation that was registered as a Charity Trust in 1997. The organisation envisions an inclusive society where all disadvantaged members, including those with disabilities, live with equal rights and have access to the same opportunities that enable them to live a life of dignity. Founded in 1996, Development Wheel (DEW) is a non-profit, development organisation that promotes self-help, poverty alleviation initiatives aimed at the economically-disadvantaged households in Bangladesh. 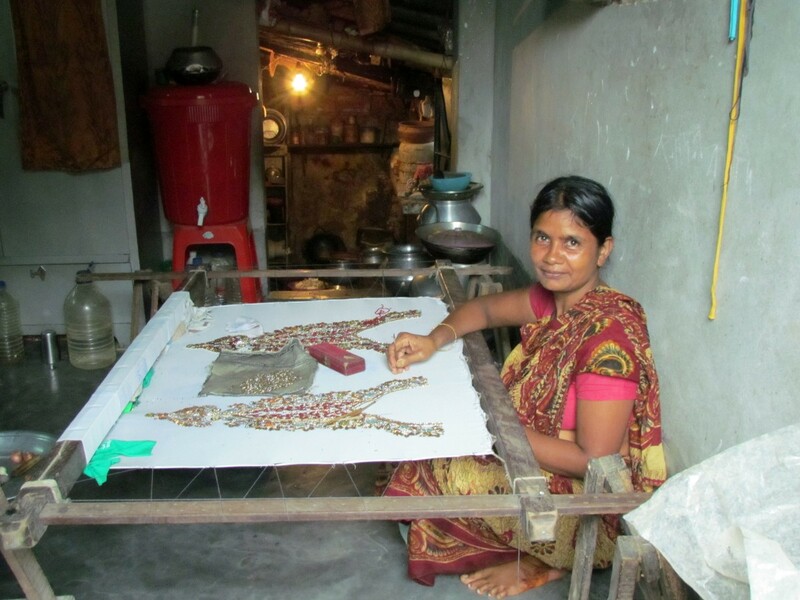 DEW mainly focuses on promoting Bangladesh’s arts and crafts sector by facilitating the development of small enterprises that generate self-employment opportunities for the urban and rural poor. Established in 1993, Hitaishi is a non-governmental organisation that works towards the socio-economic upliftment of the disadvantaged and the distressed. Through savings and micro-credit products, it encourages economically-backward women to improve their incomes and achieve financial security. Labour at Informal Economy (LIE) is a membership-based organisation that reaches out to home-based workers, street vendors, waste pickers, and agricultural workers in Bangladesh. LIE promotes and protects the fundamental rights of informal sector workers at the national level, specifically with regard to decent living and working conditions. Nari Maitree (NM) – meaning women's solidarity, is a women-led, non-partisan, and non-profit development organisation. It was founded in 1983 by a group of female social activists with a mission to empower the disadvantaged and vulnerable women, children, adolescents, and youth of the country. Over the years Nari Maitree has emerged as one of the leading national NGOs dealing with urban problems, especially in the capital city of Dhaka. It has also designed and implemented programmes for the rural people in different parts of the country. RUPSA is a rights and advocacy-based NGO that works towards empowering and establishing the rights of the rural and urban poor. It works with the disadvantaged and marginalised especially vulnerable women, children, the disabled and religious-ethnic minorities. And it builds their capacities to help them fight against poverty, oppression, and discrimination. SAMATA seeks a poverty-free, pro-poor society, which is based on social justice, human dignity, gender equity and democracy. It also seeks to establish an environment that sustains development for the poor and voiceless. It looks to achieve, for the landless and other disadvantage groups including women, a sustainable social, economic and political empowerment by increasing and establishing their rights to public resources. Trinamul Nari Uddakta Society is a grassroots organisation that was established in 1998. The organisation is dedicated to the empowerment of home-based workers and is spread across 53 districts in Bangladesh. The Society aims to organise workers, educates them on labour rights, hones their skills, and nurtures market linkages. Established in 1980, Unnayan Sangha is a non-government organisation that works towards the sustainable, socio-economic development of the economically disadvantaged. IMS aims to be a premier institute known for promoting excellence in management training and development. Since it was founded in 2008, it has contributed to developing the human capacities and human dynamics in the country through its wide range of innovative services that are abreast with the pace of time. Read began working in Bhutan in 2008 with the goal of transforming rural communities by creating access to information and resources and building a culture of reading. With the help of its partner communities, the organisation has established the first rural lending libraries in the country. From a centre that provides agricultural trainings to farmers, to environmental sustainability programmes for kids, to a programme to boost women’s civic participation, READ is helping create vibrant places to live and thrive in Bhutan. SABAH Bhutan was established with funding from the SAARC Development Fund as a part of the project “Strengthening Livelihood Initiatives of the Home-Based Workers in the SAARC Region”. It aims to promote the welfare of the home-based workers in the country by enhancing and marketing their skills and, thereby, reviving traditional art, skills and designs. Based out of Orissa, ROAD is an organisation that is dedicated to identifying and addressing the issues that slum settlements face. They organise and empower those that live in informal settlements, especially women, to build resilience, to access basic infrastructure services, and to better their income opportunities. 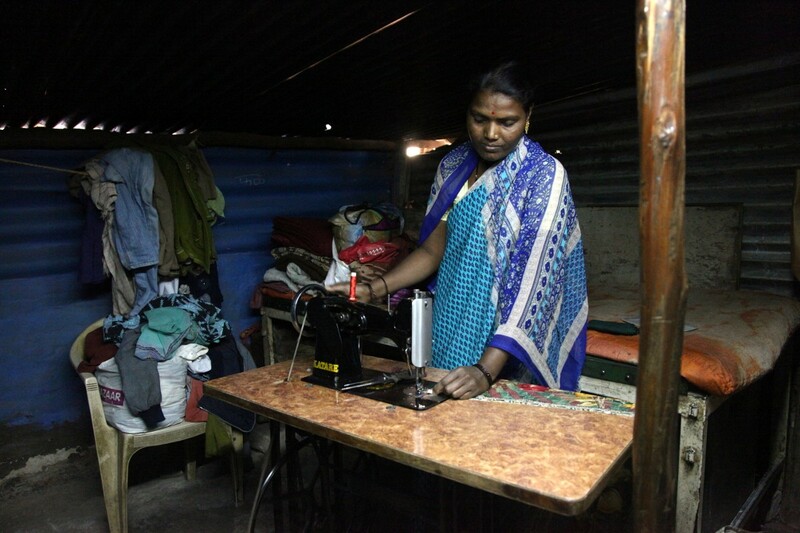 Labour Education and Research Network (LEARN) is an NGO headquartered in Mumbai dedicated to mobilising female informal sector workers in the urban slums of Maharashtra since 2008. The objectives of LEARN are to assist in building collectivisation of workers in informal employment and also to conduct research so as to increase understanding of their issues and develop collective grassroots responses to them. 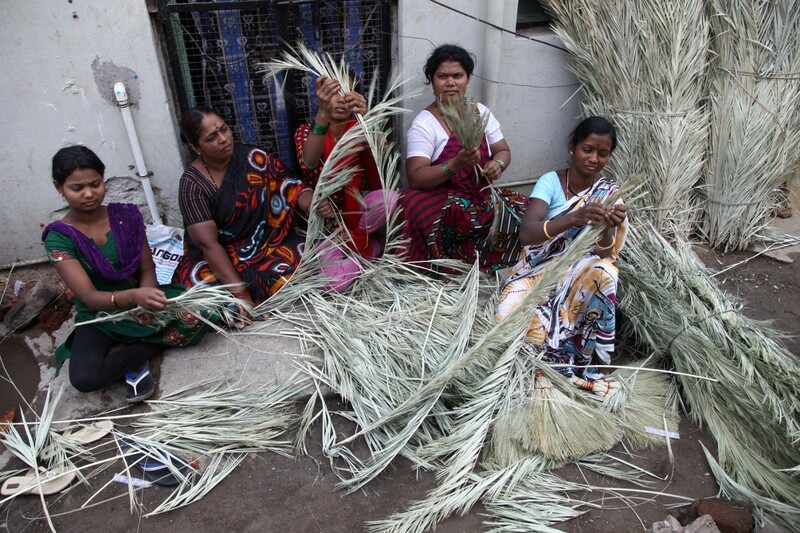 Learn Mahila Kamgaar Sanghatana (LMKS) is a Maharashtra-based union of women workers in the urban informal economy. It operates in the cities of Mumbai, Nashik and Solapur. The membership includes home-based workers, domestic workers, garment workers, ragpickers, street vendors, construction workers and micro-factory workers. LMKS aims to enhance collectivisation and solidarity-building among urban-poor, women-workers through education, awareness and research. 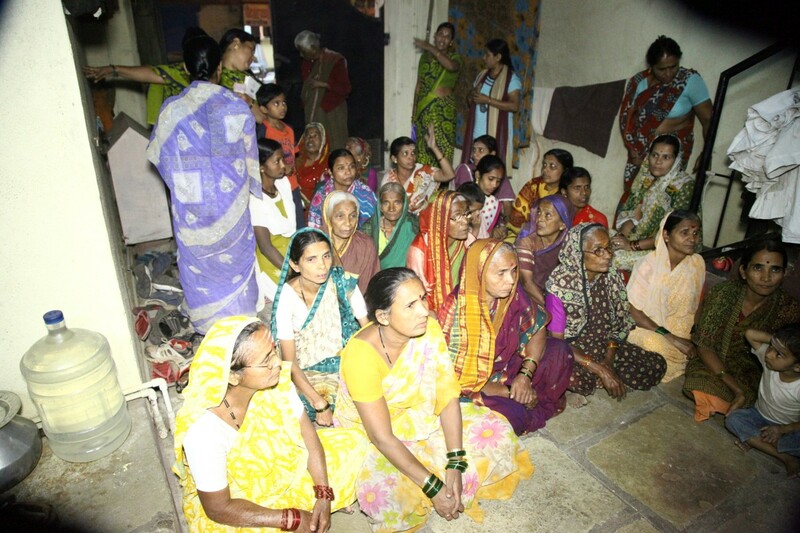 Sadhna was established in 1988 to provide alternative incomes for women in Udaipur’s rural, tribal and urban slum belts. Sadhna undertakes trainings in patchwork, appliqué and Tanka embroidery so that women can earn a secure living. Today, Sadhna provides continuous trainings to women artisans to improve their skills. It acts as a support network and helps them secure a life of dignity. SEWA is a trade union registered in 1972. It is an organisation of poor, self-employed women workers. SEWA’s main goal is to organise women workers for full employment that includes work security, income security, food security and social security (at least healthcare, child care and shelter). They also promote economic and social self-reliance amongst women. Live & Learn educates, mobilises communities, and facilitates supportive partnerships in order to foster a greater understanding of sustainability, and to help move towards a sustainable future. Live & Learn works with communities throughout Asia and the Pacific to design, implement and learn from community-based development projects. The projects are specific to each community and cover a number of thematic program areas. The Centre for Labour and Social Studies (CLASS Nepal) is a non-profit making and non-governmental organisation working for social transformation by promoting social justice and community awareness on human rights. Its members are MBOs, CBOs, and their leaders. It works for labour rights through labour education, advocacy, awareness, and capacity building. It is a platform of employers, trade unionists, educators, and research professionals. It facilitates dialogue and collaborative efforts among its stakeholders. Formally established in 2002, Home Based Workers Concern Society Nepal (HBWCSN) is made up of 90, self-help groups, nine, autonomous co-operatives and two NGOs. While the co-operatives and NGOs largely function on their own, they are linked to HBWCSN and rely on it for support in backstopping, marketing, skill enhancement, advocacy for rights and recognition, institution building, and managerial support. 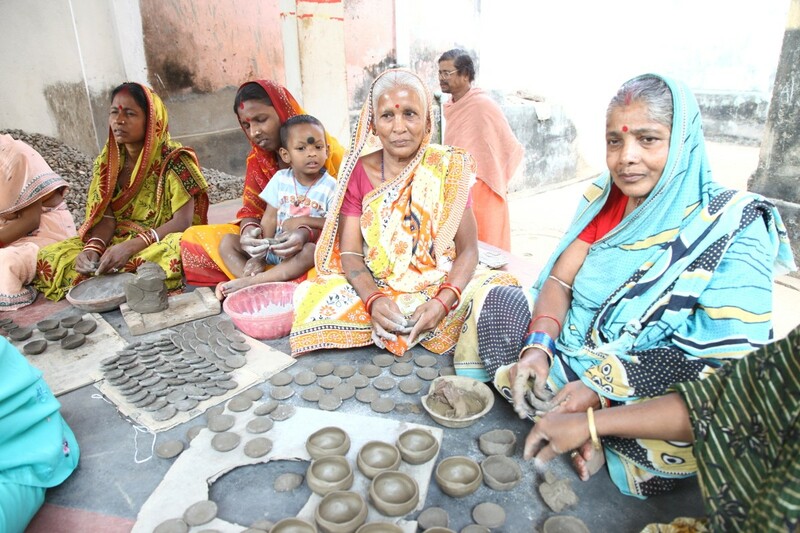 The majority of its members, all women, are employed in industries like wooden handicrafts, knitting, weaving, tailoring, briquette making, bead work, embroidery and Buddhist handicrafts. Khokana Women Awareness Society (KWAS) is a non- profitable, non-political and non-governmental organisation. KWAS is committed to improving the quality of life and empowering local women through skills development, activities providing essential healthcare, information related to SRH, and awareness programmes. Saathi meaning ‘friend’ in Nepali is a non-governmental, non-profit organisation, which was established in 1992 to address the contemporary challenges that Nepali women face. In keeping with this agenda, Saathi identified violence against women and children as an area requiring urgent attention and intervention. It has been zeroing in on its mission of empowering the rural and urban poor women working in the informal sector through economic self-sufficiency. The organisation is completely owned and operated by its women members. Women For Human Rights (WHR) is a single-women group whose vision is to achieve a non-discriminatory and equitable society where single women are respected and can live with dignity and there are sufficient legal provisions to protect single women’s political, social, cultural and economic rights. Set up as a formal organisation in 1994, WHR now works in 73 districts and 1550 VDCs, with over 100,000 single women members. WSDO is a fair trade organisation, which has been working since 1975 as a non-profit and is an income-generating programme for economically disadvantaged, disabled, abused, widowed, divorced, single and outcast women from rural Nepal, supporting them to be self-reliant and independent. The organisation’s members craft a wide range of hand-woven and handmade products and WSDO is committed to providing its customers with the highest quality products and services. Established in 1986, as a national, non-profit, non-governmental organisation, Aurat Publication and Information Service Foundation is committed to creating widespread awareness and a just, democratic and caring society in Pakistan, where women and men are recognised as equals, with the right to lead their lives with self-respect and dignity. Over the last 30 years, Aurat Foundation has come to be recognised nationally and internationally as one of the leading institutions creating, facilitating and strengthening civil society groups and networks for promoting trust and collaboration among citizens to mobilise public pressure for women’s empowerment in the country. HomeNet Pakistan is a network of organisations formed to raise awareness about the working conditions of home-based, women workers. HomeNet Pakistan envisions a society in which home-based workers are ensured visibility, recognition, legal and social protection, and a decent standard of living. Kaarvan Crafts Foundation is a not-for-profit company and also a hub for innovation, passion and humility. It provides training to women in the rural areas of Pakistan in order to build their confidence to participate in local decision-making and to help them access relevant urban markets. Kaarvan promotes a collective movement in order to achieve a culture of peace that’s gender sensitive. It is devoted to skills development not just vocational but also in the areas of communication, critical thinking and conflict transformation skills. PRWSWO is a non-profit, non-governmental organisation founded in 1997 by a group of community workers interested in improving the standard of life for the disadvantage sections of society, particularly, the rural masses. It looks to achieve this through a plethora of socio-economic services and by adopting multi-disciplinary approaches in different social sectors. SABAH Pakistan, the SAARC Business Association for Home-based women workers, is a pioneering organisation for women’s development and preserving the traditional techniques of Pakistan’s artisans. SABAH refers to its home-based workers as members, these are primarily female artisans from across Pakistan, who use their skills to create marketable fashion, clothing and home accessory items for Pakistani and international markets. 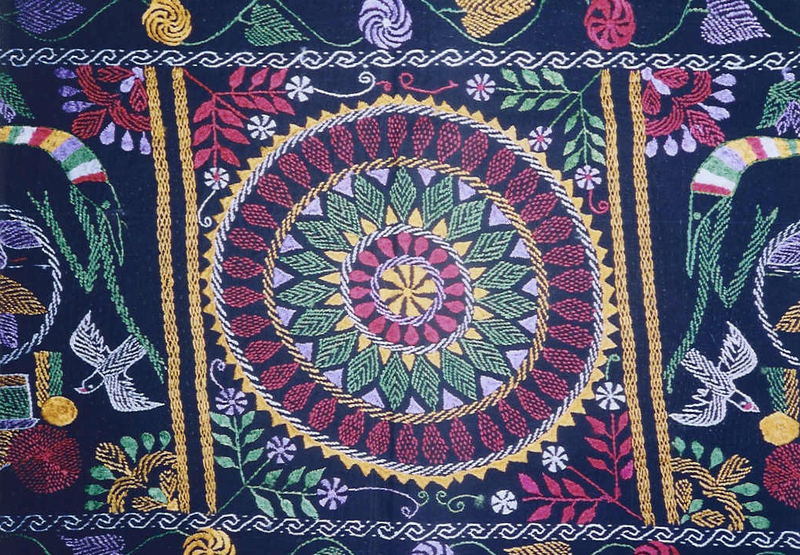 To this end, SABAH hopes to work with members of Pakistan’s textile and fashion industries to promote the growth of the traditional techniques used by artisans, making them a productive part of a growing global industry in which Pakistan will play a major role. Sarsabz Foundation is a non-governmental organisation that is committed to the cause of human rights and social sector development thus promoting professional capabilities, essential resources, favourable opportunities, advocacy for causes, and rights of defenceless communities. It enables participatory governance, based on justice, free choices and equitable access to productive resources. It also works for gender equality and women’s empowerment. Sukhi works in partnership with the poorest people of the country, directly enabling them to improve their lives, as well as using knowledge and experience to influence decisions made at a local and national level that can significantly reduce extreme poverty. It also works in partnership with various national and international organisations who are interested in the social and infrastructure development of Pakistan. Since its establishment in 1989, Sungi has been working for an integrated and comprehensive approach that empowers women and men and ensures them an improved quality of life. This is done by organising and enhancing the capacities of poor and marginalised communities. Gender equality amongst women and men through gender sedimentation is also integral to Sungi. Women Workers Helpline (WWHL) is an independent, non-profit organisation that works towards a socially just, economically equitable, politically aware and gender sensitive society. 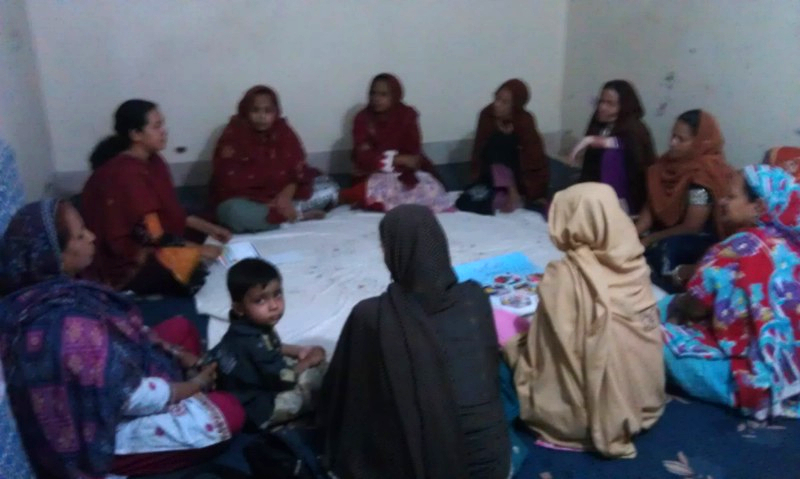 In order to promote and strengthen democracy and a gender-sensitised culture in Pakistan, WWHL creates awareness among women and enables them to play effective roles in political, economic and social arenas. IPID strives to create an environment that encourages social inclusion in the development process. It promotes the use of inclusive participatory approaches and methodologies by taking up initiatives of capacity building for governmental organisations, UN agencies, NGOS, and community-based organisations. Janathakshan (GTE) Limited is a not for profit organisation established in 2011 to promote sustainable and green solutions in development to Sri Lanka and beyond. Janathakshan, meaning "people’s technology" or "technology for people" roots itself in the work of Practical Action, a technology-based INGO operated in Sri Lanka for over two decades and envisages the same vision and values of Practical Action founder E. F. Schumacher’s philosophy. SABAH Sri Lanka is a network of Sri Lankan women food producers funded by the SAARC Development Fund (SDF). SABAH Sri Lanka develops the knowledge and skill-base of women, home-based workers so that they access better markets and income opportunities. Established in 2006, WTSS is a community-based organisation that works for women, the youth, and the disabled. It mainly works towards creating better employment opportunities for women and helps them access sustainable livelihoods. It also aims to establish women as contributing members of society.